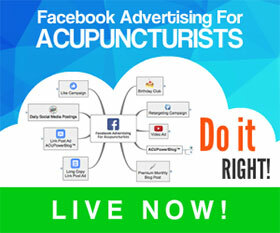 Social Media and Acupuncture Marketing - Opportunity or Hype? Social Media & Acupuncture Marketing– Opportunity or Hype? I’ve refrained from giving my views about social media because I think it’s too early to say if social media is more hype than anything else. I do think social media is here to stay, BUT I also think social media (at least for now) is a waste of time for the average small business person. If you’re a celebrity, politician, or event promoter just to name a few, I think social media is an opportunity. But for the average Joe, social media is a waste of time. Maybe in two years from now I’ll feel differently, but for now the people who are making money from social media are those who are teaching others how to Tweet and how to use Facebook. It reminds me of the gold rush in 1849 when 300,000 people sold everything they had and moved west to California to mine for gold. Yes, there were some who got rich, but most of them ended up broke. And guess who made out like bandits? The people who made the most money were the merchants who sold shovels, pans, picks and wheel barrels to the poor souls looking to get rich. I’m sorry to say this, but this is exactly the same thing I see going on with social media right now. Don’t get me wrong… I have a Facebook profile and a Twitter account. But I’ll be damned if I’m going to spend my time following people on Twitter and asking them to follow me. Maybe if we were under the threat of a nuclear attack I might follow the proper authorities on Twitter, but other than a nuclear attack, I’m on the side lines with Twitter for now. I did register my name with Twitter before another Frank Prieto snatched it first. If for some reason in the future I want to Tweet, I already have my own name instead of some unusual profile name like frankprieto4587 or something like that. So if you Tweet and it works for you, and you’re getting a return on you tweeting investment then more power to you. For me, I’m passing on Twitter for now. I am on Facebook, but I don’t use Facebook for business. I probably should but I don’t because my Facebook profile is more of a personal and local nature. My Facebook friends are local people I either personally know or have become friends with (virtual friends mind you) through my regular “real” Facebook friends. I took the time to set up my profile and created a photo album of my Father’s Day fishing trip and so on. But I had to take the time to set it up, which took time away from something else. So I bit the bullet and set up a Facebook profile and occasionally add a new friend and leave a comment if I find I can contribute something worthwhile. What I find ridiculous are the comments from some of my Facebook friends who write about everything going on in their day as it happens. Grrrrr…. Give me a break! You see things like-- “Good morning everybody. I’m getting ready to go to work. Have a great day” Then 30 minutes later they post another comment that goes like this-- “Just got to work late. Traffic was a mess on I-95. It’s going to be one of those days.” Do you see what I mean? Seriously now, do you think your Facebook friends really need to know this? Am I becoming an old grouch at a young age? I’m sorry but I don’t think anybody needs to know these minute by minute details of somebody’s daily life. Some of the local event promoters leave comments that make sense. They’ll post the weekend’s upcoming events and concerts. I think that makes sense. If I see someone coming to town I like, I appreciate getting that kind of heads up. Other than that, I have work to get done. When Seth Godin, the well known marketing guru and author was asked why he wasn’t on Twitter, he said he just didn’t have the time for it. He told the interviewer his blog is among the top three marketing blogs on the internet and he wanted to stay focused on what he was doing. A simple answer, but brilliant advice! Seth Godin is a pioneer internet marketer who is involved in some major projects. When Seth Godin said this about Twitter I must say I felt validated and hollered, YES!! Of all the social media sites, I think Twitter is the most ridiculous of all. I don’t follow anybody on Twitter because I don’t think anything anybody is doing is so important that I need to know about every 30 minutes. When you see these endless tweets or comments on Facebook you wonder how any of these people get any work done. Did you know the average time spent by users on social media sites is 45 minutes. I was flabbergasted when I read this. Are there marketing opportunities in these social media sites? Yes, I believe there are, but the money, time and market research required is not within the reach of the average small business. 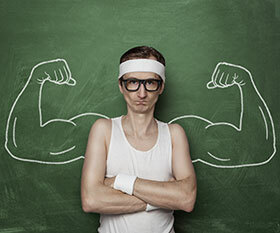 A well known company that does very well with social media is Zappos. The company that sells shoes online. All their top executives are on Twitter and Facebook, including it’s CEO. They’ve made it work very well for them and have a faithful following. When they run a sale they blast these social mediums with their announcement and make a killing. But Zappos has a corporate culture built around customer service that many companies don’t even come close to. As far as investing time and money into social media to generate new patients for your acupuncture practice, I don’t think we’re there yet, or if it ever will lend itself for that. When they say it will help you grow your business, they might be partially right. Yes, the more exposure you get, the more people will learn about you and “possibly” call you when they need acupuncture. 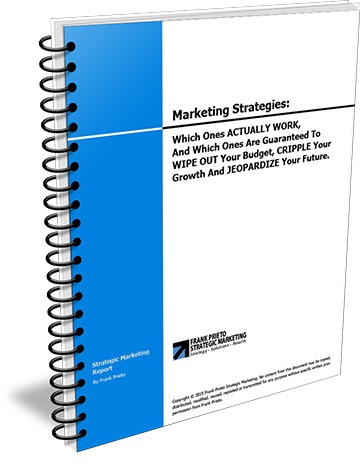 But I’ll tell you what… You’ll get much more bang for your buck investing in search engine optimization or PPC advertising than chasing after the next social media site that comes along. Somebody said something to me that made a lot of sense which I remind myself of every single day. And that is this-- “Focus is about subtraction not addition.” Some proponents of social media say SEO is dead and that you need to get with the times and get involved in social media. This is totally absurd and preposterous. I’m not saying you shouldn’t get your feet wet in social media, but if you think you’re going to grow your acupuncture practice by replacing SEO with social media I’ve got some snake oil I’d like to sell you. Those selling courses and coaching programs on social media are the same kind of people today who sold mining gear to people looking to get rich mining for gold back in 1849. The truth is when somebody has a serious problem that keeps them up at night and is desperately looking for a solution, they are likely go to Google or their favorite search engine to look for answers. If you’re not listed on the first page you miss out. The 80/20 rule will always apply. SEO and PPC will be responsible for 80% (if not more) of your website traffic, while social media will account for 10% or 15%. Is 10% or 15% worth acquiring? I’d say yes, but not if you have to invest 80% of your resources for a 15% gain. I look at social media like networking. Does networking work? No it doesn’t. Now wait a minute... Before you jump all over me about this let me ask you a question. Why do people go to networking events? So they can meet people who they can sell something to. That in itself is not a bad thing; the bad thing is that everybody else at the networking event is there for the same reason. In other words, everybody is trying to SELL something at networking events to NON-BUYERS who are there to SELL something too. People don’t go to networking events to buy. They go to the mall or the shops to buy. So you have to think about it this way – Social media is a big networking event filled with people trying to get their name out there in the hopes somebody will “buy” from them or buy “into” them. On the other hand, search engines are like the mall or the shops where the “buyers” go to look for stuff to “buy.” This is why I stopped going to networking events 5 years ago. It was a waste of time. OK, enough about social media. You’re probably thinking I had to much coffee this morning so I’ll stop my rant, but I think you get the point. I’ve said a lot to get to the last sentence of this paragraph but I think it was important you have a different angle on social media marketing, because some people will have you believe that if you’re not on Twitter or Facebook you must be a dinosaur. Not true. My advice is to put aside or forget about social media for now and put your efforts into a blog. 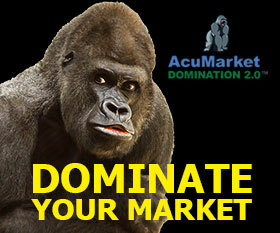 This will produce far better results that will come to you in the form of better search engine rankings. 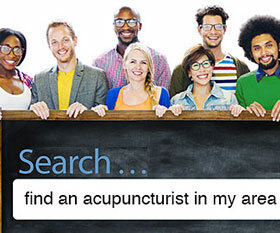 When you’re on the first page of Google you’ll be like a store at the mall where real “buyers” (new patients) go to search for an acupuncturist. Anything else is hype. Follow me on Twitter-- NOT! I agree Frank. The format with which social media exists – in particular Twitter in my opinion does not make for a good marketing angle to try to get new patients. A blog is something that can be loaded with keywords so people can easily find through search engines what you blog about. As of right now there is no Twitter search engine and who wants to read 140 characters worth of a text message to get explicit information that they can really peruse and get something out of? Facebook is a little bit of a different animal and personally for me I also prefer to keep it private and not to be used for business. Blogging for practitioners is where it is STILL at! I definitely agree that SEO should be the priority as I believe it is now replacing the phone book. However, I have benefited from using social media as one of my marketing prongs. Firstly, I have built my Facebook with everyone I have associated with my previous jobs, activities who do not know what I do now for a living (acupuncture). These acquaintances are now aware that I do acupuncture (I started acupuncture this year. I also post a weekly article that I write and have posted a video link. My Facebook fan page gets on the first page when you google ‘Miami Acupuncture’ and putting my URL on the fan page has also helped my SEO. I use other networking sites almost solely to improve the SEO of my URL and my articles. It is not my main marketing, but it is a useful tool. Adrian, thank you for your comment. If social media works for you then by all means keep doing it. But let me share with you an important point about something you say. You mentioned that you post a weekly article that you write and have posted a video link. Why not install a blog on your domain and write the articles (content) on YOUR blog. You can put a snippet of the articles on Facebook with a link back to YOUR blog. My point is this– Why give away your content to Facebook instead of using that valuable content (that carries SEO juice) on your own web property. I’m not totally against Facebook as I am against Twitter. All I am saying is that you should only invest time into social media marketing AFTER you have a blog attached to your website that you are adding keyword rich content to on a regular basis. That content will always be there and your domain will build equity. I don’t spend a lot of time with twitter or facebook but I do have my blog set up to update my social media accounts when I post. It doesn’t take any extra work because it is automated. 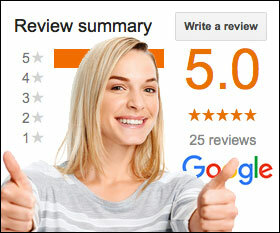 I agree that creating a quality blog and updating it frequently and having it optimized gets the most bang for the buck. Thanks Frank. Very well put, and my thoughts exactly, even though I’m hardly a marketing guru. I keep wondering who has the time for these social networking snafoos? I agree with you about the blogs as the main strategy. One thing I see in holistic health is that the public don’t fully understand what they do. Practitioners often talk about energy work and body work. What exactly does that mean? I know as a patient I don’t lay awake at night thinking who can do energy work on me. LOL Therefore I think a blog can help educate the public about the services they offer which in turn brings in more clients. Thanks for this blog. Great information. Thank you for your comment Renee. 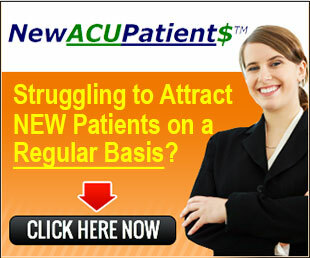 You’ve touched on something many acupuncturists fail to understand when marketing their services to the public. You’re absolutely right… People don’t lay awake at night thinking who can do energy work on them. They lose sleep over their pressing health problems and will actively seek a solution that makes sense. There are successful acupuncturists out there who have replaced the term “chi” in their communications with the public with the term “blood oxygen.” This is a perfect example of communicating an Eastern concept with Western lingo. It does two things; It gives the prospective patient a clear picture of the blockage taking place, and positions the practitioner as a health care professional instead of an energy healer. I recommend every acupuncturist read “Dao of Chinese Medicine: Understanding an Ancient Healing Art” by Donald Kendall. Whether you agree with Mr. Kendall or not, you’ll get an incredible insight on a different perspective which ironically will help you in your marketing.